Yang ten nights, screenwriter, producer. In 2005, he joined Beijing Excited Film Co., Ltd. as the director of film and television planning. In 2007, he participated in the creation of film and television dramas as an independent screenwriter, participated in the film "My Tang Dynasty Brothers", starring Jiang Wu, Hu Jun and Li Liqun, and was responsible for the adaptation and production of the script. In 2011, he created the movie "Neverland" (directed by Wang Mingfei), who won a new director's award at the China-US International Film Festival in 2012. 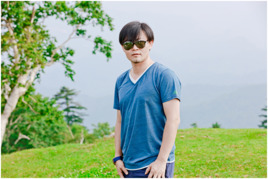 In 2017, he served as the chief producer and screenwriter of the costume love drama "Shuang Shi Chong Fei".